Konstantina’s note: Taking a break from the series So, graduation! A Tranlator? 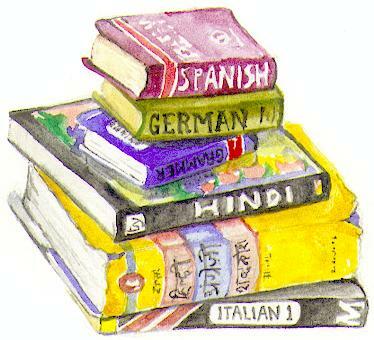 And then, what?, here is Jeff Peters with his article on benefits of learning a new foreign language! Enjoy! Language holds a major role on the operations of the society. Most people know one language and in most cases, their own local language. However, there are quite a number of benefits that come with being multilingual. These benefits are the advantages of having the knowledge of more than one language and there are a few reasons that are illustrated below with the hope that you will be convinced to take up the challenge. Everybody would like to get a job but few have sat down and thought on what might add value to you as a job seeker. According to college paper writing experts from www.solidessay.com , knowing more than one language is by no doubt an added advantage whether you as seeking a job on the international market or the local market. On the international front, employers seek employees with the capability to associate and adapt to any environment and community. In the event that you are applying for a specific position and you know more than one language, you will be outstanding from the rest. In a local economy, it’s more likely that fellow applicants cannot read or speak any other language other than their own local one and therefore, you will be viewed to be of more value. Perhaps it has once occurred to you that you are looking for some information either for research purposes or just for the sake of knowledge but the only document with that very crucial information is printed in a different language. If it has never occurred to you then start wishing that it should never happen. But why should you wish when you can actually learn that other language and stay safe? Indeed, the knowledge of more than one language allows you to access lots of information that you would not be able to obtain if you only knew one language. TV series, novels and websites published in different languages from that you know will remain one irrelevant to you because they deny you the access to the information they bear. You can only access a wide range of information if you know more than one language. Why don’t you equip yourself with this important skill so as to access a wide range of information? Yet another reason for knowing more than one language is the wide circle of friends that diversity provides. With the world’s trending technology, friendships can be created via social media but the number of friends and the joy that comes with friendship depends on the diversity of the friends you have. Imagine you are a German with friends from France, Kenya, China, Britain and many other countries. Don’t you think it will be more fun to speak French when conversing with your friend from France and Kiswahili when addressing a friend from Kenya or Tanzania? Definitely it would be. Therefore, step out and learn an extra language and surprise your friends. If you were offered one destination you would love to visit, you won’t probably mention your own country. That being the case, do you know the language spoken in that dream destination country? And if you say “no”, how do you intend to communicate with the locals when you arrive there or do you expect one of them to know your language so as to help you with communication? If you are dreaming of touring a place with a different language from your own, you better start learning that language. Knowing more than one language gives you that freedom to move to any part of the world without the fear of not being welcomed. Knowing more than one language is very instrumental in the day-to-day activities and therefore, it should be upon you to take up the challenge and learn more languages. It’s cheap, easy and takes a very short time if you are really dedicated. Author bio: Alex speaks three different languages fluently and he is currently employed by SolidEssay.com, where he teaches students how to write different types of essays in English. There are some tips on how to write a contrast essay which is just an example that can be used as a guidance. I did read somewhere that the ability to speak a foreign language is a sign that a person is educated. The bit with the travelling is slightly exaggerated. I mean, should I learn the language of each country I intend to visit? I would learn the basic ‘Hello’ and ‘Thank you’ as a sign of politeness. And I don’t agree with ‘takes a very short time if you are really dedicated’ – learning a language well enough to get by takes some time and requires more than dedication, it also depends one one’s skills. Apart from that, good read. And I would add another reason to learn a language: it helps improve memory, keeps your brain in shape.